I am in Poland to participate in the 25th anniversary of the March of the Living with an Israel Bond leadership group of 29 people. On April 19th, we shall march from the Auschwitz concentration camp to Birkenau death camp. And tonight, April 18th, our group had a very special dinner with 16 retired United States military soldiers who liberated the concentration camps throughout Europe that were set up under the Nazis. 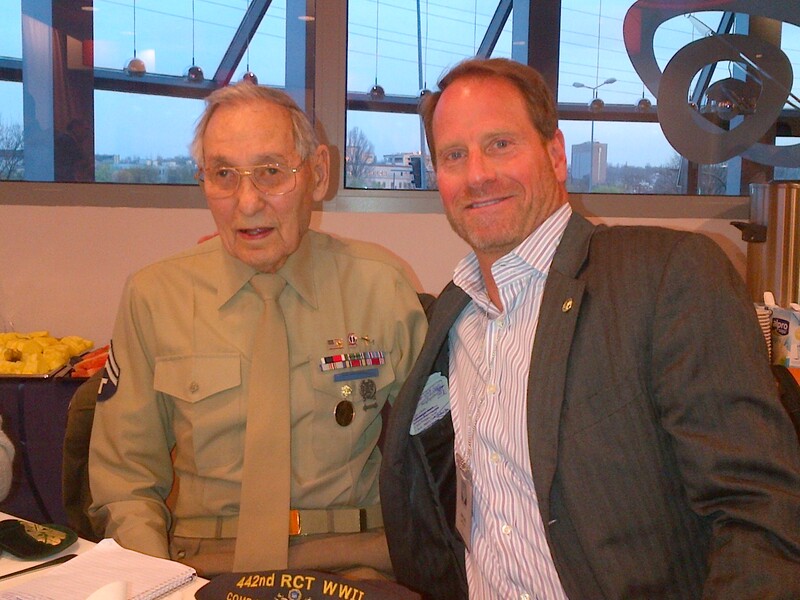 I am so honored and humbled to be sitting next to Virgil Westdale, a true American hero. Virgil is an American of Japanese decent and his father was sent to the American internment camps during World War II because he was of Japanese descent. Virgil was a fighter pilot during the World War II and then, because of his Japanese ancestry, was demoted to the infantry and sent to Europe to fight in the U.S. Army. There, he went to Germany and liberated the Dachau concentration camp and saw firsthand the atrocities that the Nazis committed. He freed the Jewish prisoners and then literally went door to door to the local German population and gathered food and clothing and medical supplies for the concentration camp survivors. His stories are incredible and horrible and inspiring. We all have life and liberty as Americans and in particularly as Jews because of this man and the 15 other retired soldiers (the youngest of whom is 86 years old) who joined Virgil here in Poland to participate in the March of Living, and who joined our Israel Bond group at an intimate dinner with my fellow 29 Israel Bond companions. These American soldiers all flew over to Poland to march in the March of the Living so that they can personally bear witness to the atrocities committed by the Nazis and to deny and defeat, once again, the evil that continues to be perpetrated by all of those who claim that the Holocaust did not occur. 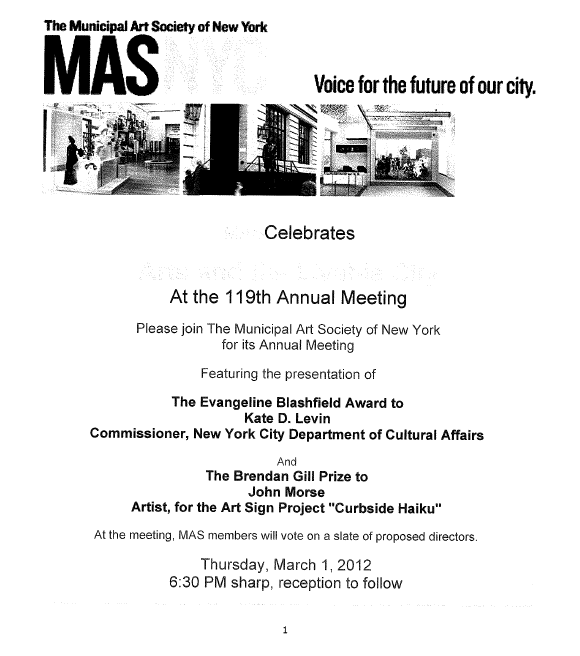 On March 1, 2012, the Municipal Art Society (MAS) held its 119th annual meeting at the newly renovated New York Historical Society located at 170 Central Park West. The meeting was a standing room only event. The gathering of MAS members, partners, funders and friends celebrated the integral role of the arts in fostering a livable city. The evening started off with the presentation of the Evangeline Blashfield Award to New York City Department of Cultural Affairs Commissioner Kate D. Levin for her dedication to the arts in New York City. 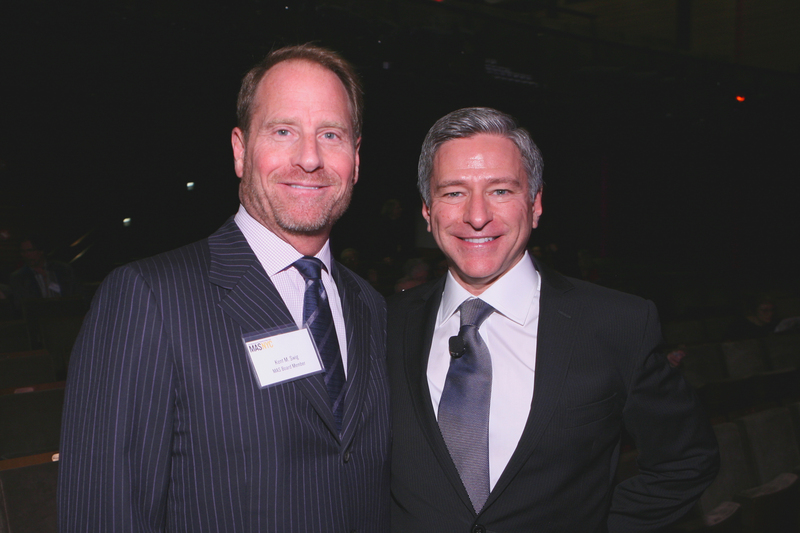 Presented by former Blashfield awardees Warrie Price and Susan Freedman, it was noted that under Commissioner Levin and Mayor Michael Bloomberg, the city has funded more cultural organizations in more parts of the city than any other administration. After the Blashfield presentation, Dr. Louise Mirrer, president and CEO of the New-York Historical Society, introduced New York Story, a multi-media film presentation illustrating the history of New York City, which was simply spectacular. Following, MAS President Vin Cipolla presented on the year ahead at MAS, from policy and community engagement initiatives, to public programs, tours and events like May’s Jane’s Walks, celebrating the legacy of Jane Jacobs. Vin then introduced longtime Brendan Gill Prize jury Chairman Randall Bourscheidt and jury member and Queens Museum Executive Director Tom Finkelpearl to present the 24th Brendan Gill Prize to John Morse for his wonderfully imaginative and witty “Curbside Haiku,” the DOT-commissioned safety education and public art campaign.